Naples, Fla. (June 16, 2017) – Overall closed sales of homes in May shined brighter than any other month previously reported in 2017, with an impressive 23 percent increase to 1,027 closed sales in May 2017 from 838 closed sales in May 2016. Likewise, overall pending sales (homes under contract) also outperformed activity reported in the last four months. 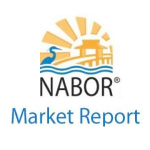 Leading broker analysts who reviewed the May 2017 Market Report released by the Naples Area Board of REALTORS® (NABOR®), which tracks home listings and sales within Collier County (excluding Marco Island), are quite confident that real estate agents will be very busy this summer. One familiar obstacle summer buyers will face again this year is a reduction in available inventory. Whereas the market saw a 26 percent increase in inventory in January 2017 to 6,393 homes from 5,091 in January 2016, the May report showed only a 4 percent increase to 5,404 homes in May 2017 from 5,207 homes in May 2016. Inventory increases are leveling off. Many broker analysts who track activity on a daily basis report that they have witnessed upwards of 900 listings disappear from the Southwest Florida MLS since May 1st. “This type of behavior is short sighted,” said Hughes. “Those who let a listing expire at the end of our winter season are missing a huge opportunity to sell their property during the summer months.” Hughes added that our area attracts a variety of buyers during the summer such as international travelers, families from Northern states, and those relocating from other parts of Florida. Comparatively, the overall median closed price decreased 8 percent in January, while the May report showed an increase of 5 percent to $355,000 in May 2017 from $338,000 in May 2016. Incidentally, January’s median closed price was $314,000. If the logic behind removing a listing at the end of season is based on old beliefs that a property will obtain a higher sale price during the winter months, then sellers need to examine the May statistics more closely. 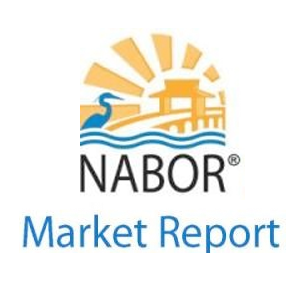 According to NABOR reports, there were 424 more closed sales during May than January. As noted by Coco Amar, a managing broker at John R. Wood Properties, activity in the $2 million and above price category has really picked up strength this year. As reflected in the report, overall pending sales in the $2 million and above price category increased 52 percent in May. There were also 78 closed sales of homes in this price category in May 2017, up from 36 closed sales in May 2016. And while the overall median closed price for homes above $300,000 increased 8 percent to $590,000 in May 2017 from $547,000 in May 2016, the overall median closed price for this top reported price category decreased 8 percent to $2,950,000 in May 2017 from $3,220,000 in May 2016. The May report also showed overall inventory increased 4 percent to 5,404 homes in May 2017 from 5,207 homes in May 2016. Homes in the $300,000 and below price category had the highest inventory increase of all other price categories, reporting a 12 percent increase to 1,551 properties in May 2017 from 1,391 properties in May 2016. While still an increase over last year, the rate of the market’s overall inventory increase is tempering. In fact, brokers are concerned that housing options in some geographic areas, such as in the Central Naples single family market, may start to pinch sales as this area experienced a 50 percent increase in single-family closed sales during May, but had only an 8 percent decrease in inventory. According to Kathy Zorn, broker/owner of Better Homes and Gardens Real Estate Pristine, “Buyers who are looking for a condominium in the Naples Beach or North Naples area this summer may encounter some challenges as these areas are running low on inventory.” Zorn pointed out that in North Naples there was a 47 percent increase in closed sales of condominiums during May, a 26 percent increase in pending sales of condominiums during May, and only a 9 percent increase in inventory. The situation is even more alarming on the beach, as both pending and closed sales of condominiums increased by double digits, but its inventory rose only 1 percent in May. If you currently have a home for sale in the Naples market, brokers recommend against terminating the listing during the summer. In fact, there were 875 closed sales in June 2015 and 832 closed sales in June 2016, both higher than the number of closed sales in January (603) and February (613) of 2017. As a highly desirable second-home location that rarely falls below 70 degrees, Naples will always increase in population during the winter months and then decrease during the summer. But according to county growth reports, the permanent residential population in Naples is also growing steadily. When asked, several brokers say that a large majority of the next season’s part-time residents, along with a host of new permanent transplants, prefer to do their home buying during the summer. So before you pull your home off the market, seek guidance from your Naples REALTOR® who can help you market your property correctly to appeal to summer buyers. A REALTOR® can also locate properties that match summer buyer needs and negotiate a purchase price that reflects the market. Discover more at www.naplesarea.com. The Naples Area Board of REALTORS® (NABOR®) is an established organization (Chartered in 1949) whose members have a positive and progressive impact on the Naples Community. NABOR® is a local board of REALTORS® and real estate professionals with a legacy of nearly 60 years serving 6,000 plus members. NABOR® is a member of the Florida Realtors and the National Association of REALTORS®, which is the largest association in the United States with more than 1.3 million members and over 1,400 local board of REALTORS® nationwide. NABOR® is structured to provide programs and services to its meembership through various committees and the NABOR® Board of Directors, all of whose members are non-paid volunteers.